VICTORIA — When it comes to negotiating a softwood lumber agreement, British Columbia Premier Christy Clark says she prefers an unpredictable American administration, rather than the previous disinterested U.S. government. Clark said she feels more confident about Canada's chances of reaching a softwood lumber trade deal after her cabinet was briefed Thursday by Canada's ambassador to the U.S., David MacNaughton, and David Emerson, B.C. 's recently appointed trade envoy on the softwood file. She said Barack Obama's administration was focused on reaching the Trans-Pacific Partnership trade agreement and barely responded to Canadian attempts to talk about the softwood deal, which expired in 2015. "They just simply weren't interested," Clark said at a news conference after the cabinet meeting. "So, unpredictable change can sometimes be good if it means we have an administration that, for the first time in a long time in the U.S., is interested in getting this agreement resolved." MacNaughton said recent behind-the-scenes talks and Prime Minister Justin Trudeau's visit to Washington to meet U.S. President Donald Trump have managed to raise the profile of the agreement with the Americans. "They see it as a small, regional issue," he said. "The most important thing we did was impress upon them how important it was to Canada. It's a national issue that affects hundreds of communities." 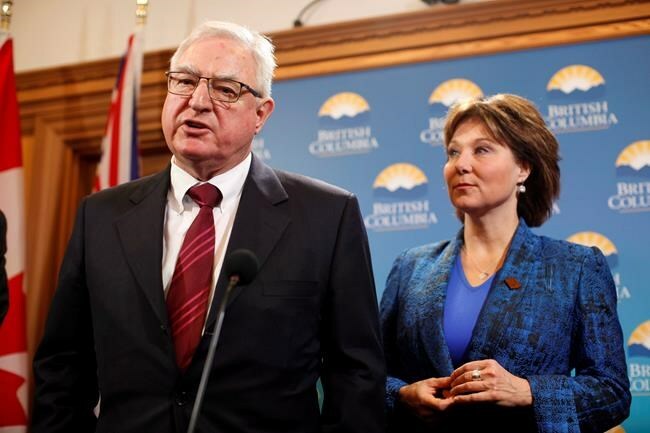 Clark said about 40 per cent of B.C. 's rural communities are dependent on forestry. The forest industry provides more than 60,000 direct jobs in the province and last year's value of lumber exports from B.C. to the U.S. was $4.6 billion. B.C. is Canada's largest producer of softwood lumber, accounting for about half of national production. The 2006 Softwood Lumber Agreement to ensure stable lumber trade between the two countries expired on October 12, 2015. Last November, the U.S. lumber Coalition, an alliance of large and small softwood lumber producers, filed a petition to the U.S. Department of Commerce and the U.S. International Trade Commission to limit Canadian lumber shipments. The coalition claims Canada unfairly subsidizes it's lumber industry, which harms American workers who are experiencing mounting unemployment. "The petition alleges that Canadian provincial governments, which own the vast bulk of Canada’s timberlands, provide standing trees to Canadian producers for an administered fee that is far below the market value of the timber, as well as a number of other subsidies," said a statement from U.S. Lumber Coalition. The coalition could not be reached for comment. Emerson, a former federal cabinet minister who has been involved in previous softwood negotiations, said the forest industry has changed since the last deal was signed more than a decade ago and Canada needs to take a fresh approach to addressing the concerns of protectionists in the United States. "I would not approach it as though we can just re-darn the old socks, and we'll be fine," said Emerson. "We've got to take a fresh look at it in terms of our top to bottom reassessment of today's conditions and the political pressures that are quite different today than 10 years ago." Note to readers: This is a corrected story. A previous version misspelled David MacNaughton's last name.